We all know that, in the modern world, buying a car is pretty much a necessity for all of us. But going about buying one isn't easy. There are various options to consider, you can buy a car outright, you could lease a car, or you could scour the personal ads in the hope that something fantastic and cheap will arise. It's important for you to understand the best options, and what are these? If your credit rating is good, you can get a decent loan from any bank or finance provider. The great thing about this is that you can spread the cost over many years, usually between 1 and 7. When picking a loan, it's always best to make sure that it's not secured against your home or other collateral. The great thing about a personal loan is that it's usually the cheapest alternative. The issue of a personal loan is that it could affect other borrowings, and there could be a wait for the funds to go into your bank account. So if you found a car you need to buy right away, such as an ex-demo model, this could be frustrating. However, some lenders put the funds into your account immediately. If your credit rating is good enough, and you've got enough of a balance on your card, you can use your credit card to purchase the car. Some of the benefits of doing it this way include extra protection should something go wrong. This is on condition that you meet your monthly car payments. But, as with most credit cards, there will be a charge and can be up to 3%. Some dealers don't accept credit cards at all, which can be very annoying, so it's much better for you to ask at the outset if you have this intention. A considerably popular way right now. Hire purchase is buying the car on finance. The loan is secured against the car itself, you then need to pay a deposit of approximately 10%, and then make monthly payments for the fixed amount. So the benefits in this are that you can shop around and get some really competitive interest rates, the deposit is low, and it can be done really quickly. The other benefit in this is that you are able to pick a higher spec of car, so if you are looking for a car like a Subaru XV or something that packs a bit more punch for your money, then it's more feasible than buying an old banger second hand. When negotiating this, it's better for you to go for a long-term agreements, up to 60 months is doable, but if you need a short-term agreement for personal reasons, this can be more expensive. A PCP is similar to hire purchase, but with the one notable difference that you make lower monthly payments. Beware with this, as the total amount of money you will pay is usually higher than hire purchase. And instead of getting a loan for the cost of the car, you will get a loan for the difference between the cost as it is at the outset and what the determined value will be at the end of the hire agreement. But, at the end of the payments, you can trade in the car, either for a newer model or something completely different, or hand the car back to the dealer. Your other option is to pay a larger final payment, which is known as a balloon payment, and keep the car outright. Beware of this as the general wear and tear of the car can incur extra fees. Also, if you exceed the determined mileage, this could put you out of pocket. This isn't something you hear about much when it comes to buying a new car. But peer-to-peer loans, allows people to borrow from other people, as opposed to banks or financial institutions. While on the surface this sounds ideal, you still need a good credit score to get a decent interest rate. And, much like a personal loan, if you miss any payments, your credit score will be affected. The best approach is to get your credit score as high as possible so you can negotiate the best interest rate for your money. But, it's advisable to do your research with this, and there's lots of information about peer to peer loans online. There are various websites to give you the information you need, such as this one, but it's important to keep your eye on the interest rates. Sometimes a personal loan will be a better option for you. Some people choose to save outright for the cost of their car, which can take a long time! Paying with cash is the cheapest way to get any car because you don't need to pay interest, or sign up for any financial agreement. If you do choose to go down this route, it's important to remember that you need more than the cost of your car, ideally 10% more. You need to make sure that there's enough left over in case an emergency arises. But if you don't have enough money to pay the car in full, you can still put down a big deposit, which means your monthly repayments will be lower if you choose to go down the higher purchase agreement route. Or, you can combine your savings, with a credit card payment, and then not only have you been able to pay for the car outright, if something goes wrong with the car, the credit card company is also equally liable with the retailer. This is a little bit more peace of mind! A car is the second biggest purchase you will make in your entire life after a house. And as it's something you rely on as much as your house, you need to make sure that you get the best bang for your buck. 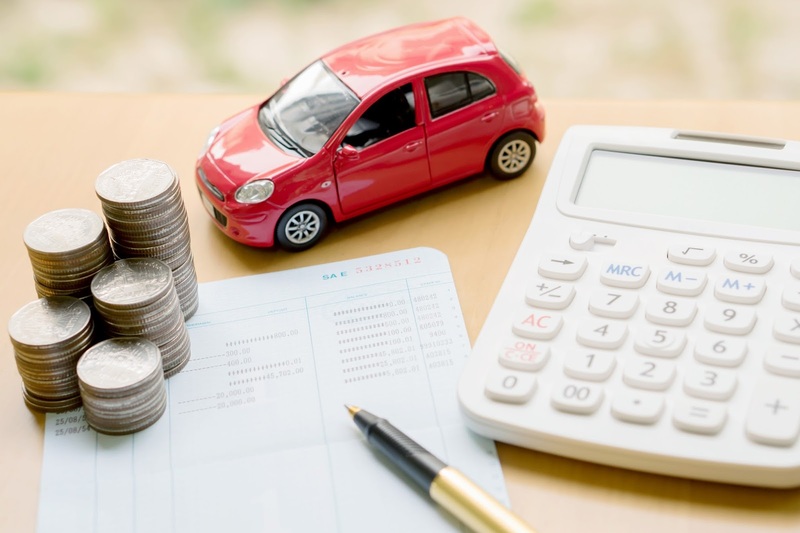 Your financial options aren't always obvious, but these are what you can do if you are unable to afford your car outright.